TundraTalk.net - Toyota Tundra Discussion Forum > Vendors > 1A Auto Parts > Pre-Tax Sale - 3 Days Only! "Tax season is upon us. You work hard. It's time to treat yourself. 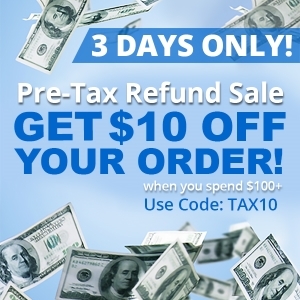 Don’t miss out on pre-tax refund savings! Shop our quality auto parts between 2/4-2/6 and get $10 off $100+ orders. Use Code: TAX10"